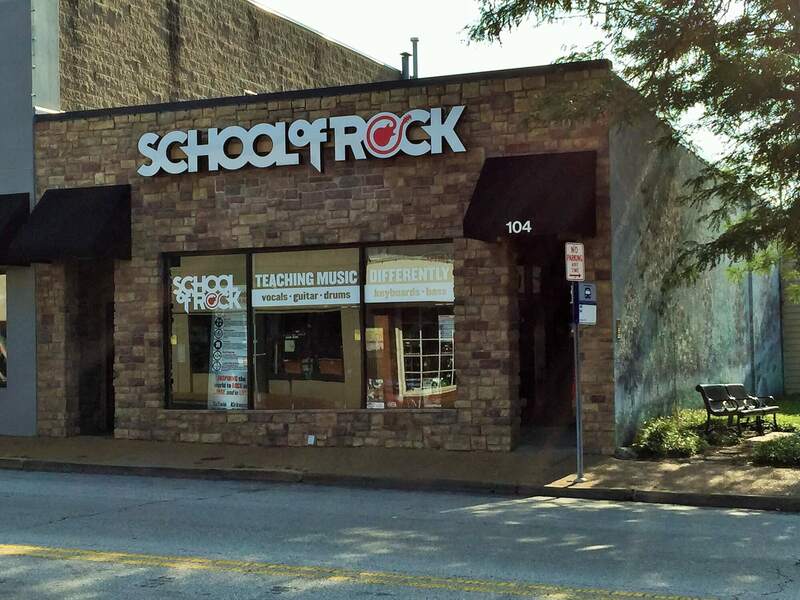 School of Rock Kirkwood's music teachers have the knowledge and experience to give students the skills they need to play on stage and become successful musicians. 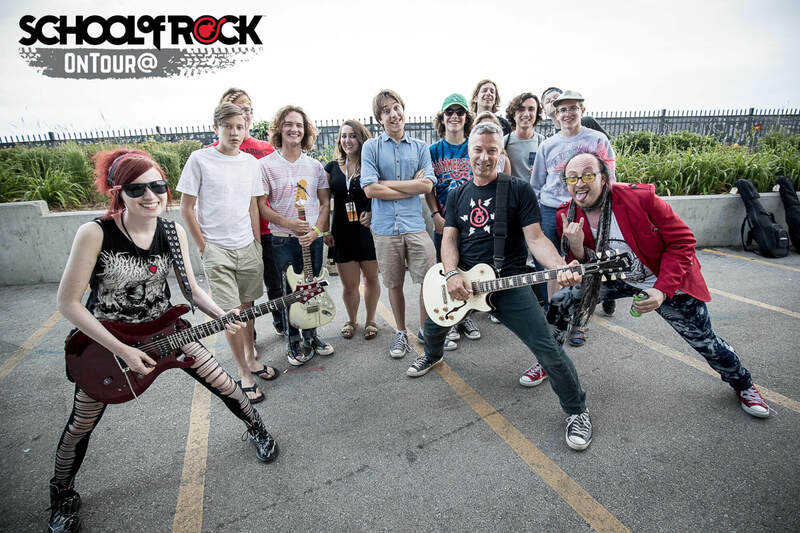 Instructing on guitar, bass, drums, keys and vocals, School of Rock Kirkwood's music instructors take our students to the next level of music performance and proficiency. Paul Niehaus IV was born and raised in Saint Louis, MO. He first started with music in fourth grade band class by playing the trumpet. By high school he had learned the French horn, saxophone, guitar and bass. Paul received a BA in music and folklore from Truman State University in 2009. Since graduating he's toured over 45 US states playing in numerous blues-based bands, including John Nemeth and Matt Hill. 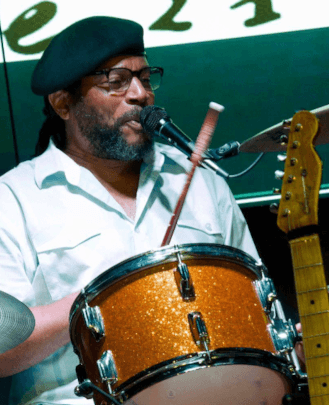 He's also served on the Board of Directors for the Saint Louis Blues Society, a 501c3 non-profit, since 2013, and produced three celebrated compilation albums for the STL Blues Society, which have, since their releases, been at the #1 spot on the 88.1 KDHX charts. Besides performing and teaching he also has a love for recording, producing and mixing/mastering. An audiophile, he has become very focused on the sonic qualities of the music he's creating or enjoying. Paul started Blue Lotus Recordings, a record label specializing in roots music (blues, soul, folk, etc.) in 2016. He runs Blue Lotus Studio from the Southampton neighborhood of South City. What Paul loves about teaching is filling in cognitive holes with succinct yet vitally important concepts, which can accelerate a student forward in their progression. Kyle Ray is a multi-instrumentalist instructor who specializes in marching/concert percussion, various drum set styles, blues/jazz/finger-style guitar and electric bass. He has been playing for 19+ years and has a background in competitive percussion. Having spent time in WGI independent marching as well as symphonic percussion mastery, he also plays in several bands in the Saint Louis area. What Kyle enjoys most is helping students grow their technical and musical abilities by exercising the ear and various motor skills associated with their chosen instrument, as well as teaching and implementing efficient practice methods to ensure productive performance. 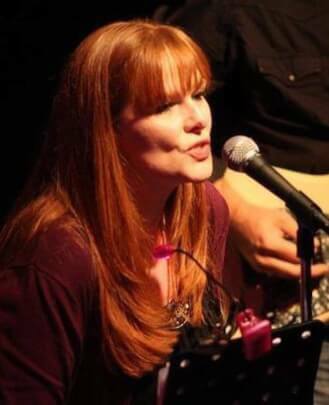 Pam Camp is a vocal instructor at School of Rock, with a background in musical theatre. She previously worked with The UAFS Academy of the Arts, a children’s arts education program. She also taught vocal performance out of her home studio. Highlights of her music career include winning Best Female Vocalist on the Nashville Network’s “Charlie Daniels Talent Round-Up," fronting her own classic rock band The Pam Camp Band, employed as a studio demo artist for Star Traks (a national soundtracks company), performing at the Summer Series with Carrie Underwood in the “Country Music Round-Up," being the opening act for Lonestar, performing with Artimus Pyle Band (Lynyrd Skynyrd drummer) and being the founder of the Females Rock the Fort! benefit concert. Since moving from Arkansas to St. Louis in the fall of 2013, Pam has had some amazing opportunities! She has performed at Fair St. Louis and the Pujols Prom (with Smash Band), on The Stage at KDHX and The National Blues Museum (with Kingdom Brothers), and at the newly built Delmar Hall (with Shakey Deal, a Neil Young tribute band). She looks forward to helping her students find their full potential and passion, in performing and in life. As a founding member and drummer of the group The Bottle Rockets, Mark Ortmann has experience in the music industry as a professional musician and tour manager. Formed in 1993, the band has released 11 critically acclaimed albums. The Bottlerockets have extensively toured North America, Europe and the U.K., headlining their own shows but also touring and performing with a variety of musical peers that include John Fogerty, Lucinda Williams, Steve Earle, The Allman Brothers, Wilco, Marshall Crenshaw and many others. In addition to live shows, they've also performed as featured guests on various national broadcasts including "The Conan O'Brien Show," Mountain Stage, AudioTree, Music Fog, SiriusXM Radio and NPO Radio 2. Mark was turned onto music at a young age when he first heard the song "S.O.S." by the group ABBA on his parent's AM car radio. But it was a drum fill in the song "Cold As Ice" by Foreigner that sparked his interest in playing drums when he was 14. Mark was lucky to have studied early on with a series of skilled teachers and has been a student of drums ever since. Playing by ear and being self taught are important aspects of learning an instrument, but a good teacher can help students develop their talents more rapidly. 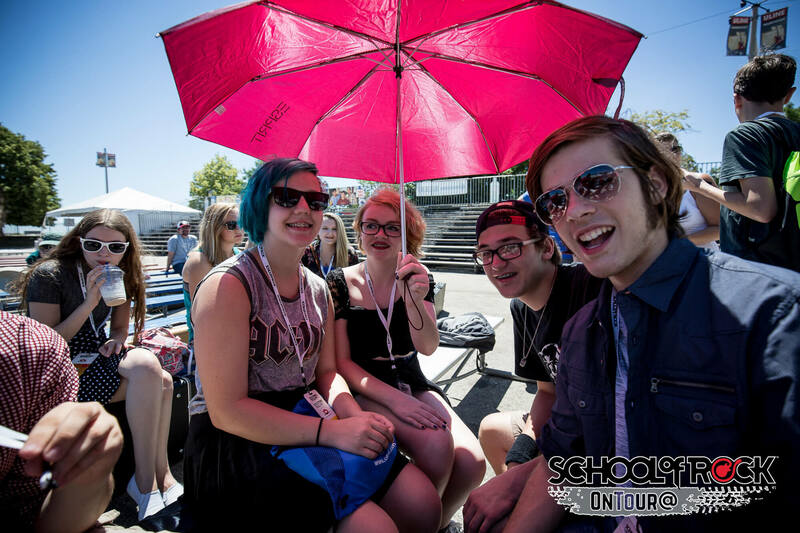 Mark is happy to join the instructors at School of Rock and looks forward to sharing his experiences with the students when he's off the road between his tour schedules. 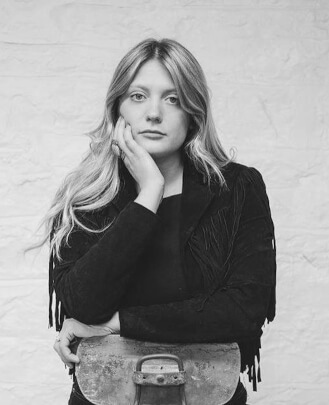 Whitney joined the School of Rock team in February 2017. Her childhood consisted of AC/DC, Black Sabbath, The Eagles and some Fleetwood Mac thrown in. She played guitar with her dad through junior high. Whitney started regularly attending local shows before she could even drive, and eventually ended up volunteering and working for Autumn Ramp Park, a skate park in Joplin, MO. It was attached to a venue and that was where she fell in love with all of it: the production, the people and most importantly being constantly surrounded by music. She has a passion for music and can't wait to share it with everyone at School of Rock! With a background of two years managing Euclid Records, five years traveling with vintage clothing company Donnaland Vintage Variety and ten years of playing music in Saint Louis, Molly joined the team at School of Rock in September of 2015. She was inspired to join the team because of her experience teaching vocals at Ballwin School of Rock. Molly strongly believes in the value that comes from working in a group. She says the most rewarding part of her job is seeing the development and growth of the kids during a show season. Molly loves having a job where she can be constantly surrounded by music, and work closely with the amazing musicians who make our mission of inspiring kids possible. She fronts a four-piece rock n' roll band under her name and has released five albums across two bands since 2012. 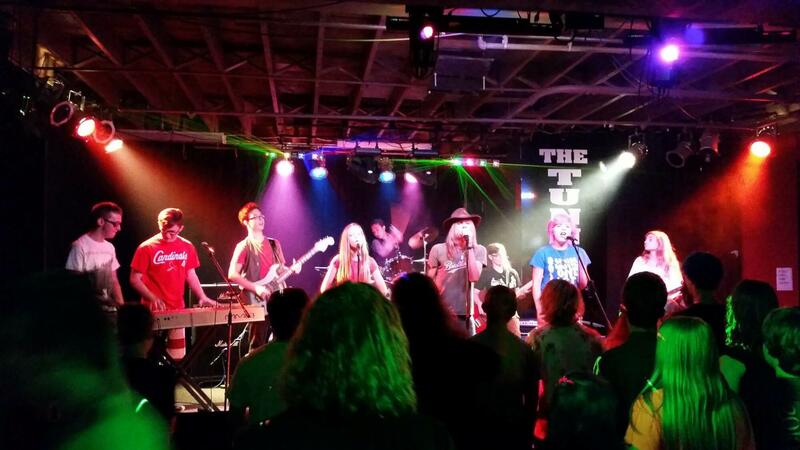 Molly is excited to be in a thriving music community like St. Louis, and to watch so many awesome young musicians come up through School of Rock. 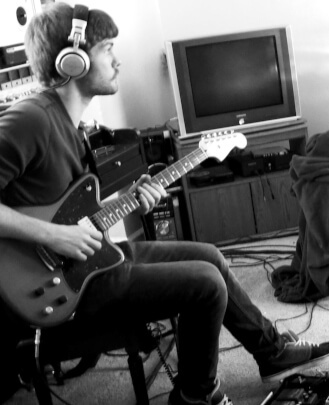 Joe Rogers is a young musician from Collinsville, IL who has played in several different St. Louis bands. Being a guitar player at first, he branched out to bass and drums pretty early on and now could be considered a jack of all trades. From prog rock to the blues, math rock to heavy metal, he truly loves a wide variety of genres. Being in a few different local bands has given him the opportunity to share the stage with some amazing bands, most notably Tiny Moving Parts, Earth and math rock gods The Bulletproof Tiger. He considers himself a songwriter above anything else. It's hands down his favorite part of playing music. Michael was born in St. Louis and he began guitar study in 2008. Michael graduated from Mizzou with a BM in performance in 2016. 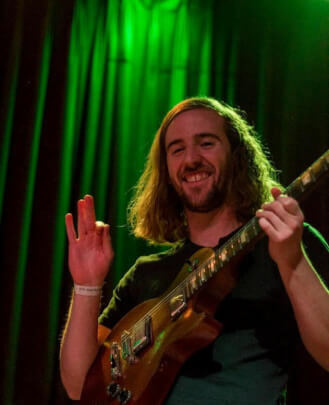 After graduating, Michael moved back to St. Louis and he's been in local band Hazard to Ya Booty ever since. His musical specialties are jazz, hip hop, rock, blues, soul and a little country. Phil has been with School of Rock since January of 2016. His passion for music and creating started in his youth as he grew up in a performing arts studio that his family owns. Phil received his Bachelor's in Music Performance and a minor in Music Composition from Lindenwood University in 2014. Since then, he has pursued music full-time. He band leads Mostly Jazz, a quintet that backs a tap dance ensemble. He also plays keys for The Highway Saints as well as solo jazz guitar for cabaret singer Amy Armstrong. Along with solo performances and singer/songwriter work, Phil arranges and band leads an acoustic trio, Hitchcock & The Hitmen. He was born into a family of dancers, musicians and performers. Playing and teaching music is Phil's passion. 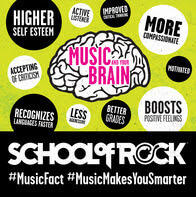 It brings him great joy to break down musical concepts to students of all ages and to increase the musicianship that we breed at School of Rock. 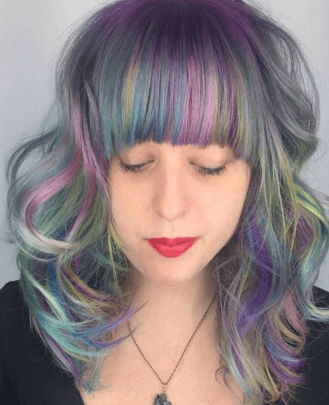 Kristen is a singer, musician, entertainer and event producer who loves to connect communities and spread love through music. She's been singing her entire life and also plays acoustic guitar and keys. Originally from Fort Collins, CO, Kristen moved to St. Louis in 2001, where she began playing solo shows and gigs throughout the city. She currently leads a women's folk rock tribute band called kg lang, is a part of a monthly sing-along at HandleBar called Everyday People, is a member of Ghost Light, an acoustic string trio that plays musical theatre songs, and sings in a wedding band called Lucas Jack and the Midnight Piano Band. Kristen co-produces a few large-scale events and annual shows, and she volunteer with local non-profits. Kristen performs weekly at Sasha's on Shaw on Monday nights, along with other monthly shows around town. Kristen specializes in jazz, cabaret, show tunes and blues. Jeff Nations is a multi-instrumentalist/composer with over two decades worth of experience in the music industry as a drummer, guitarist, vocalist, bassist, keyboardist, songwriter and producer, not to mention many behind-the-scenes roles. 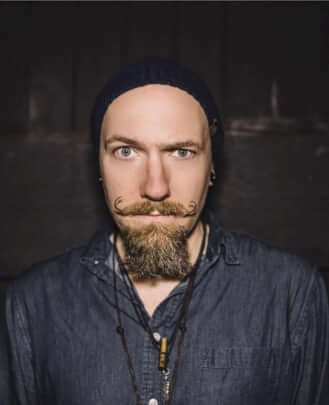 He currently serves as drummer for the nationally touring, Billboard-charting indie alternative band Rookie of the Year, as well as a member of the STL cover bands Proud Larry and The Town Drunks. Jeff has also been a member of major acts including Shaman’s Harvest and Science Hill. He's had music featured on radio, TV, film, blogs, etc., has toured the U.S. coast to coast and has shared the stage with renowned acts including Ben Kenney (Incubus, The Roots), Chris Kilmore (Incubus), Chevelle, Twin Forks (Chris Carrabba of Dashboard Confessional), Bad Suns, Brett Scallions (Fuel), Josh Todd (Buckcherry), Forever The Sickest Kids and many others. 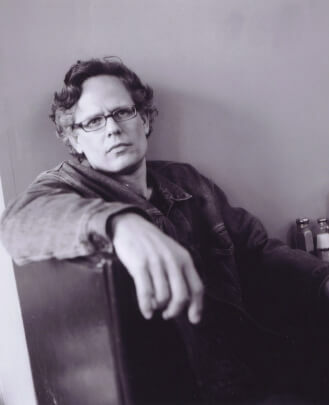 Jeff holds a Bachelor's degree in Composition for film, television and video games from Berklee College of Music. Cara Wegener is a singer-songwriter based here in St. Louis. From the time she could walk, she has been singing and performing. Cara took voice lessons at age 10, and has performed in local theatre productions such as "A Christmas Carol," "Bye Bye Birdie" and "Annie." About seven years ago, she picked up guitar and started her own band, Cara Louise Band. Since, she has released two albums and she performs around the region at various venues. Cara is always eager to help young singers grow into their voice and find their stage confidence. She loves teaching because she gets to watch young talent develop firsthand. 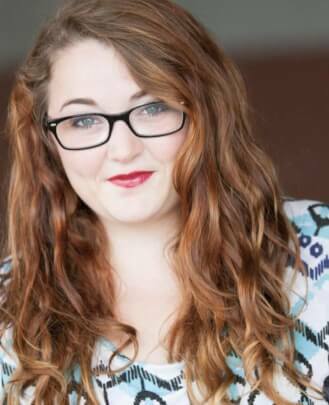 Sya Collins is a St. Louis native, studying Vocal Performance at Southern Illinois University Edwardsville. She has been singing and performing for as long as she can remember. Sya also loves playing piano and, most recently, guitar as well. She appreciates all types of music but especially has a passion for R&B, jazz and musical theater. Sya is well-versed in performing in a multitude of diverse genres and settings, including R&B bands, jazz combos, musicals and operas. Most weekends you can find her singing with Downtime Band. Sya is so excited to share her love of music with her students and help them to grow into more talented, confident, and inspired musicians. 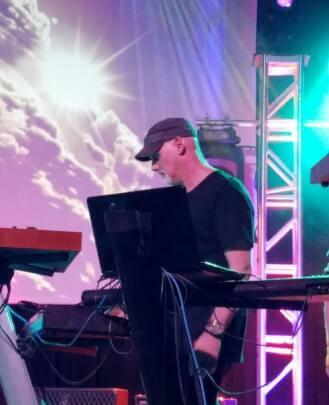 James Wolfe performs live on keyboards, guitar and vocals with the national touring band Superjam. He is also former keyboardist of The Schwag. He began working full-time in live bands at age 15, playing in clubs in Minneapolis, MN. He attended North Texas State and St. Olaf College for Music. James started piano at age three, followed by guitar and saxophone. He specializes in progressive rock/jazz with a strong emphasis in ear training. His favorites include Frank Zappa, Yes, Genesis, King Crimson, Gentle Giant, Dream Theater, Marillion and Allan Holdsworth. 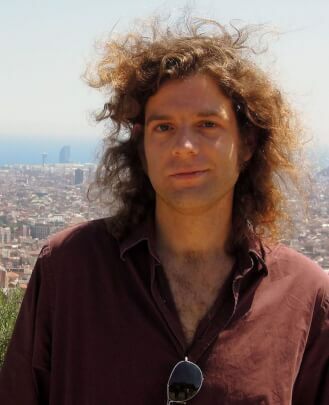 Garrett Lacy is an artist, musician and composer. He graduated Webster University in 2014 with a Bachelors of Arts in Music. He plays a number of different instruments and his primary instruments are percussion and piano. 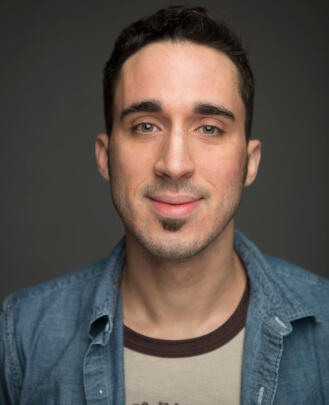 Garrett started teaching in 2017 in St. Louis and has taught a number of different classes from street drumming, African percussion, black history and private lessons. He has taught students of all ages. Garrett is an active person who enjoys a number of different hobbies from running, photography, reading and drawing. Marnise Taggert is currently pursuing a Bachelors of Music Education from Missouri Baptist University. 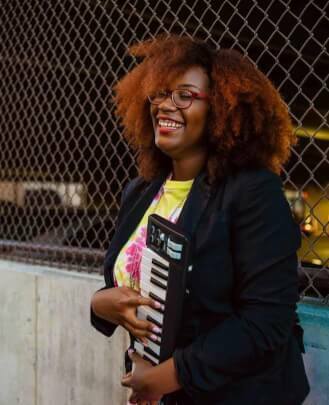 Her passion is educating young minds, driving her to house a safe place for her students to be creative and hone their individual musical talents. Apart from teaching vocal lessons, Marnise works with the North County Christian School’s Choir Program. She currently sings in the Chamber Singers and Chorale at Missouri Baptist, as well as sings in her church worship band. Though Marnise is a classically trained musician, her appreciation for different musical styles expands to different genres such as vocal jazz and R&B. She has sung with jazz ensembles and artist such as Fantasia. Marnise firmly believes in the philosophy of Orff Schulwerk: experiment, then intellectualize. Her goal is to give students the freedom to explore their musical gifts and to provide them with the tools necessary to understand the basics of music. Simone Sparks is an active musician, activist and artist residing in St. Louis. They started playing music in elementary school and have been almost exclusively self-taught since growing tired of hauling a cello 80% the size of their 10-year-old self to and from school every day. 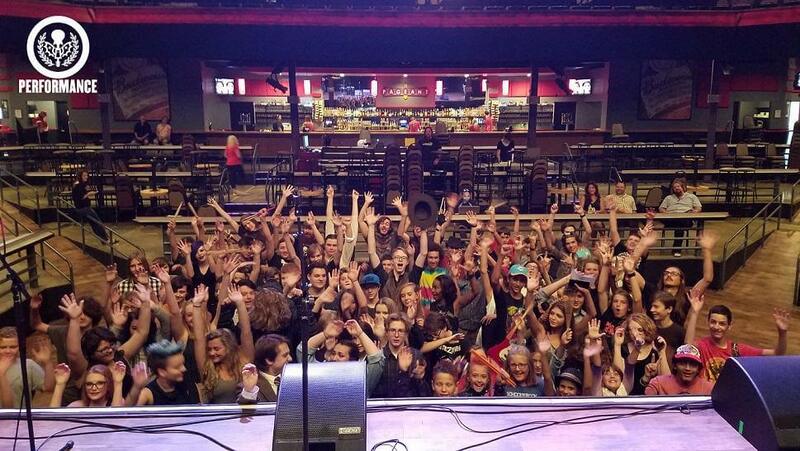 Simone was the Music Director at Saint Louis University's radio station KSLU, where they hosted "Are You Immensely Pleased," a radio segment focusing on eclectic genre exploration. 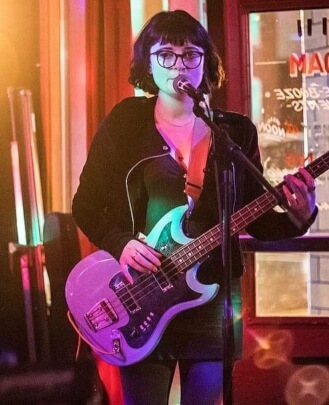 Since graduating with departmental honors in Research Intensive English in 2017, Simone has immersed themselves in the rich DIY community that St. Louis offers, and currently plays with local acts Nibiru and motherbear. Simone's favorite part about teaching is helping students grow to the point where they find their own musical language. Originally from Bosnia and Herzegovina, Adnan has come a long way to pursue his passions in music. Since moving to St. Louis, he has studied Piano Performance, Music Theory and Music Education at the University of Missouri – St. Louis. He is well-versed in piano, guitar and bass, and performs various styles of music ranging from classical to rock. Adnan has performed in orchestra settings, jazz combos, and both in a band and as a soloist throughout the St. Louis area. He strives to help students express themselves through music and become better performers/musicians. 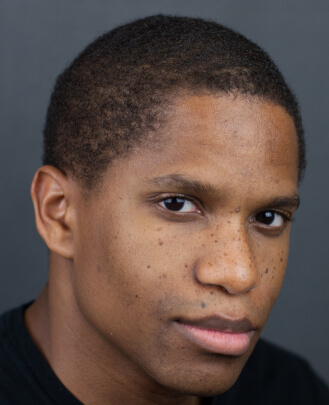 He hopes to inspire confidence, resilience and love for the arts while maintaining a fun and educational environment. Emilie has been singing ever since she can remember. She was in her first musical at age seven and ever since then has not stopped loving music. 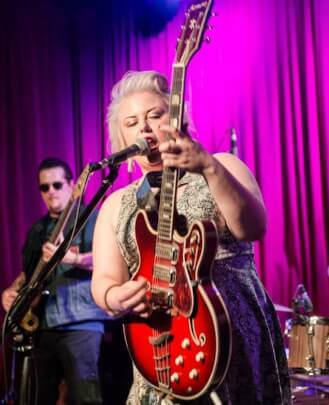 Emilie is the front woman (vocalist) of Sweetie and the Toothaches and has been leading this 1940s-1960s jump blues band since 2015. She also spent her four years in college (2010-2014) in a leadership position for a junior high youth group and realized she loves working, teaching and interacting with kids and teens. Emilie is from New Hampshire, but has stuck around St. Louis for the past five years because of her love for music and the opportunity that it presents here. 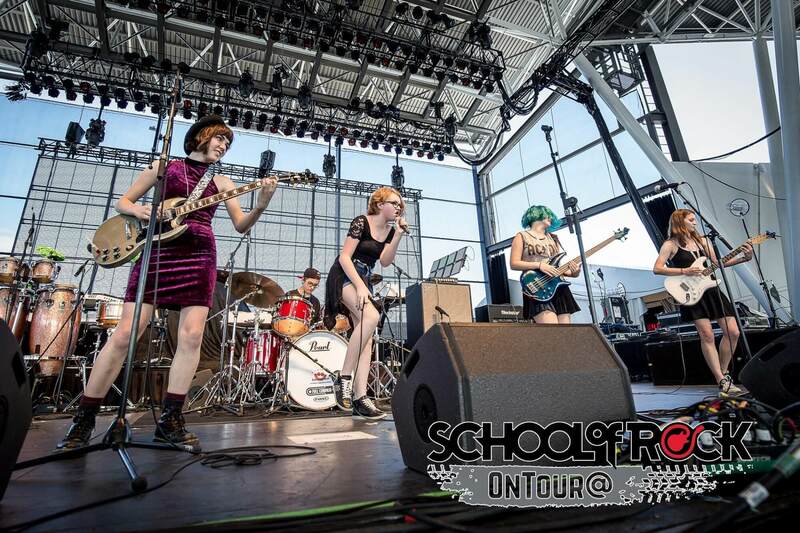 Teaching is just another opportunity in her music career and she is SO excited to be a part of School of Rock. Her excitement, passion and gentle spirit are a great blend for teaching aspiring vocalists how to use their instrument and grow their love for music and singing. enjoys life with his wife, daughter and two cats at their home in St. Louis. Recording artist, musician and Saint Louis native Katarra Parson began making music through one of its most natural outlets: creative expression. 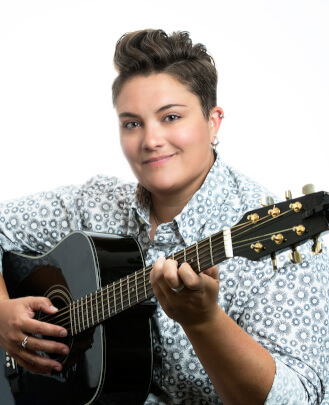 Self-taught and classically trained in 19 years of musicianship, Katarra uses the skills and techniques she gained at Webster University, and through 10+ years of performance experience, to create and thrive. Newly signed WeAreFarfetched artist, and AUCW (An Under Cover Weekend) two-time alumni, Katarra teaches her students to find the artist within themselves, as well as to do the work it takes to become a successful musician and vocalist. In this age of technology where most have no energy outlet, Katarra also works to show students that learning, mastering and creating music can also help them in all aspects of life, especially mentally and emotionally. Katarra's instruments include voice, piano and clarinet. Her genres and influences include jazz, soul/R&B, hip-hop, funk and classic rock. 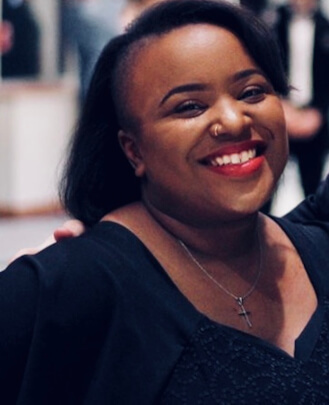 As an alumni of Saint Louis Opera Theatre's Young Artists in Training (2007‐2009), Katarra takes the key techniques from vocal theory and, paired with her music theory knowledge as a musician, shows students the fundamentals. Katarra uses her creative endeavors to aid in city outreach for aspiring creative youth. 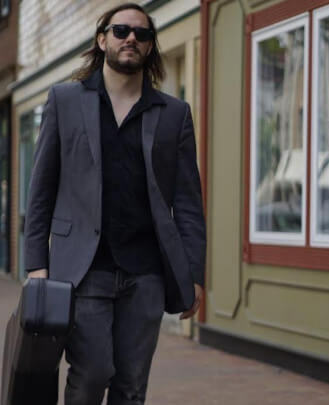 Iowa City native Chase Garrett, voted 'Best Local Act' by "The Daily Iowan" in 2011, began playing piano professionally at age 17 and within a few years was performing at blues and boogie woogie festivals across the U.S. and Europe. 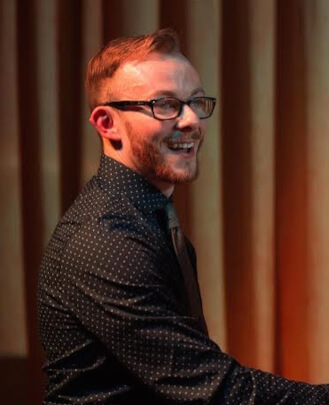 Chase has been heavily influenced by artists such as Meade “Lux” Lewis, Otis Spann, Wynonie Harris and Louis Prima and as such his style has grown into an infectious blend of foot-stomping boogie woogie, super swinging jump blues and powerhouse piano blues. 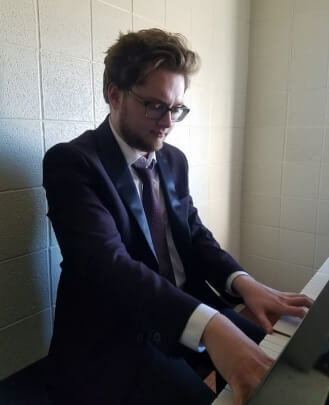 Chase has dedicated himself to the piano not only as a pianist, but also as an event organizer, instructor and technician. He has brought world class pianists to the Englert Theatre in Iowa City, IA for his annual Blues and Boogie Woogie Piano Stomp Festival for the past eight years and has taught master classes and piano performance workshops at colleges, blues weeks and swing camps across the U.S. Chase is also one of the founding members of St. Louis’ premiere jump blues band, Sweetie and The Toothaches, along with his wife Emilie Richard. 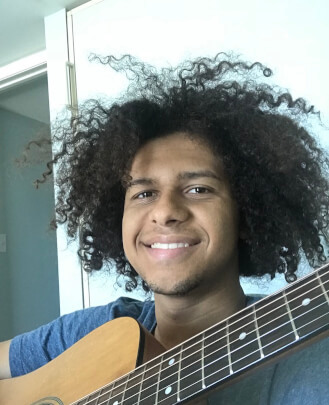 Chase knows music should be fun and loves teaching students how to use fundamental building blocks and different musical techniques to create awesome music and have an absolute blast, whether that be while performing solo or with a group. performers they were born to be. Music has been the main focus of Kory Meyer's life ever since he started playing guitar when he was 12 years old. Kory has studied theory and musicianship at Jefferson College and Webster University. Kory started teaching guitar instruction in 2013 and has been teaching lessons in some way or another ever since. He started playing shows around Saint Louis around 2009 and has recently started performing in venues all over the country. After meeting and playing with so many great musicians from all over Missouri, Kory made an effort to expose these individuals and their work to his hometown by starting a festival that in just four years has grown from a small event at a local park to being funded and held bi-annually by the city of Festus on Main Street. Over his short career he has released two EPs and one album. 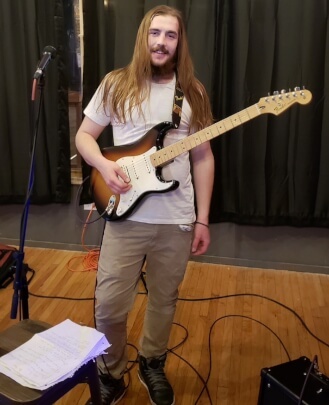 He is excited to continue his teaching as a guitar and bass guitar teacher and learn from all of the great musicians at School of Rock Kirkwood in the city that encouraged him to pursue his love of music. Marty Spikener has been playing the blues for almost 40 years, and the St. Louis club scene is much richer with him perched behind his drum kit and growling out perfectly timed vocals. Marty is a vocalist, drummer and songwriter and even dabbles on keyboard. He has played all over St. Louis and beyond, and has recorded on several projects as well, including a project at Blue Lotus Studios. He is a drum teacher at School of Rock Kirkwood. Tali Rainess is an avid musician who enjoys sharing her passion and creativity with others through both performing and teaching. Having graduated from Queens College with a Bachelor's degree in Psychology accompanied by a Music Theory minor, Tali spent a lot of time during her undergraduate career studying in practice rooms, as well as rehearsing and working on music. 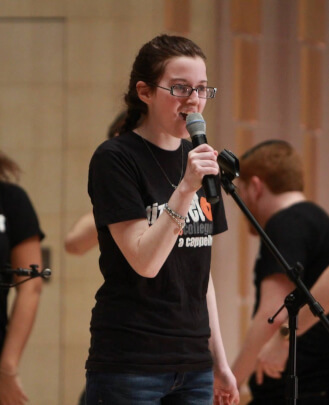 Tali is an alum of a professional a cappella group called Tizmoret, a group that has been recognized as the number one Jewish collegiate a cappella group in the country several times. The best part about teaching to Tali is experiencing each student's progress and delving into their love for music more and more at every lesson, rehearsal and performance. 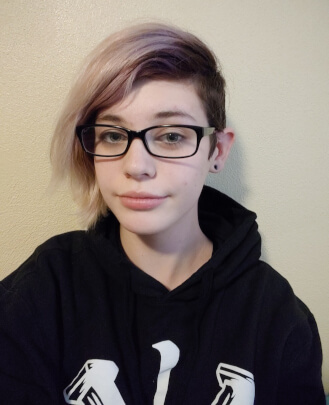 She enjoys getting to know her students and each of their individual talents because everyone is so unique, which is something she especially treasures in the music world. Teaching music is an honor to Tali, not only because she loves music but also because she’s giving back. Many music teachers in her past and present have been and still are great inspirations for her and she hopes to inspire her students in the same way. She is a vocal instructor at School of Rock Kirkwood.